What was the inspiration behind starting A Little Bundle? I was working in the Fashion world in NYC and wanted to get out of the industry, but still do what I love – design. I always loved the baby and kids industry and my friend just started Bark Box at the time. I was inspired by her subscription model idea and came up with A Little Bundle! I actually sat on this idea for almost a year and worked my corporate job while thinking about how to start the business. Then, one day I just whipped up the logo, got a website and started at it. It was a few months in when I realized I wanted to give it my all, even though income was not secure yet, but I knew if I wanted this to work I had to give my 110% not just after work hours. So, I jumped ship and took the risk. Luckily, it worked out in my favor, but I worked all day and night. It was so much work building the company and doing it all alone. I think a good tip to getting to the next level or actually trying your idea is to stop thinking so hard about it and just do it. You’ll always run into obstacles or challenges but that’s the only way you’ll learn and grow. 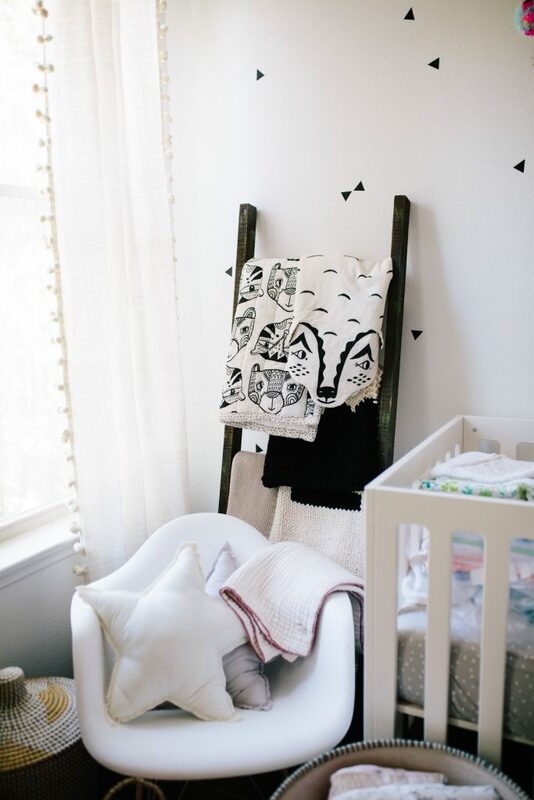 How do you stay on top of baby trends and all the new products and designers that pop up? I discover alot of the brands and products through Instagram, Etsy and traveling! 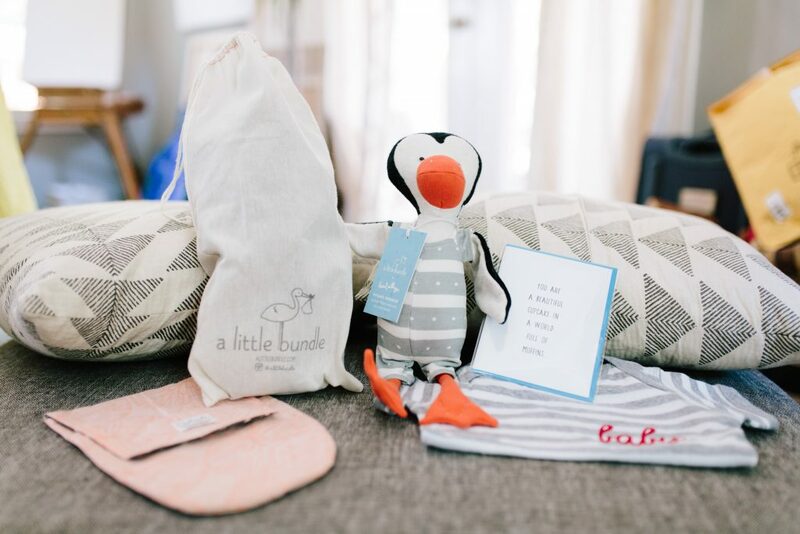 Do you have a process for selecting the items that go in the bundles? My time management has changed since becoming full time stay at home mom and a full time working mom. I now work when Indie Rey is napping and I even work at night at 2am, 4am – you name it, I’ll make it work if my priorities calls for it. 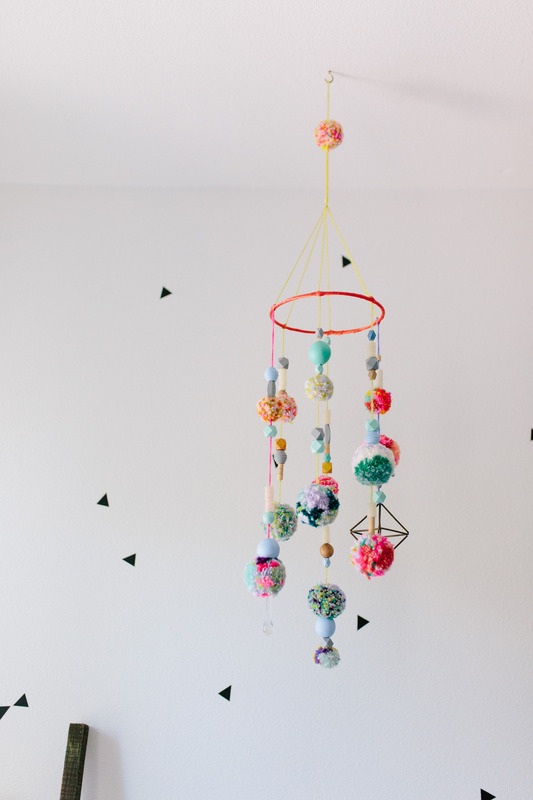 Luckily, my business has been set up by now and is running fluidly, but I couldn’t imagine building if from the beginning right now with a baby. I also pick and choose what needs to be done based on priorities. I do the best I can and the most I can day by day but most importantly I try to be present with Indie Rey! You recently had a baby girl, Indie Rey. Congrats! How has life changed since having a baby? Thank you! It surprisingly hasn’t changed much since I kept working from the day I got back from the hospital. 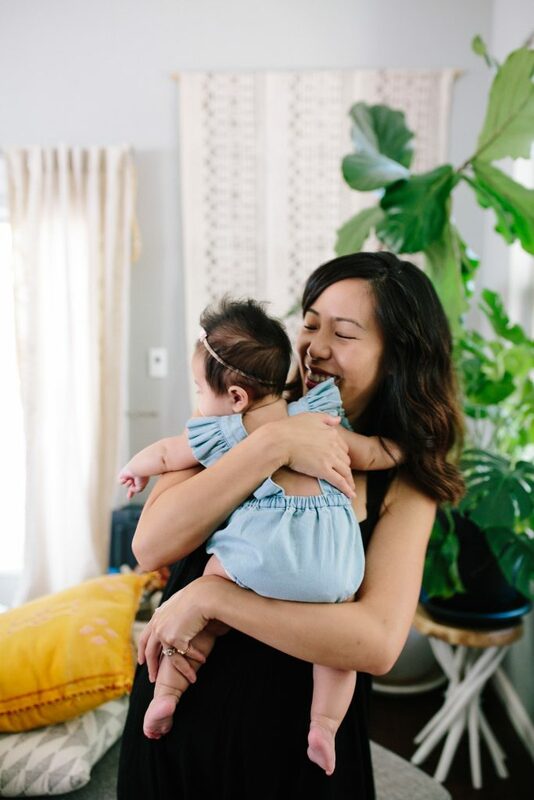 Being an entrepreneur, there are no maternity leave or even a break. Indie Rey transitioned into my life well and I was so lucky not to have trouble with breastfeeding. 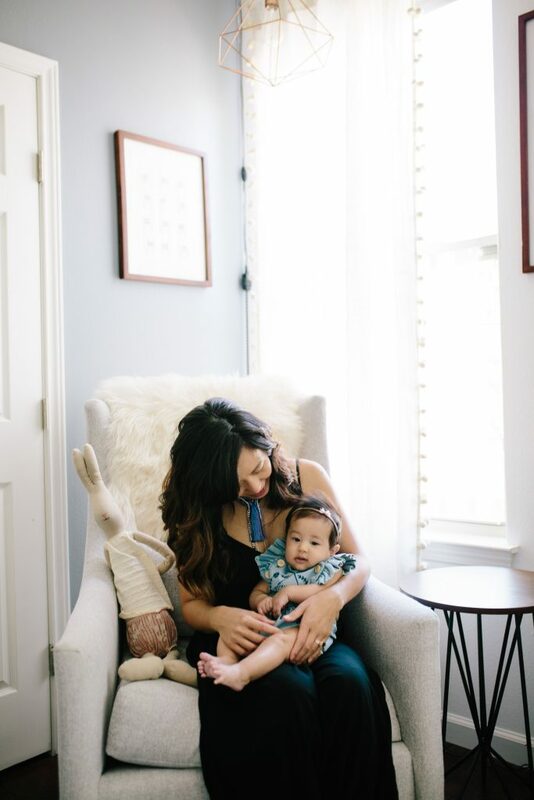 The only huge change for me was sleepless nights – which now that Indie Rey sleeps well through the night, I use the time to work. 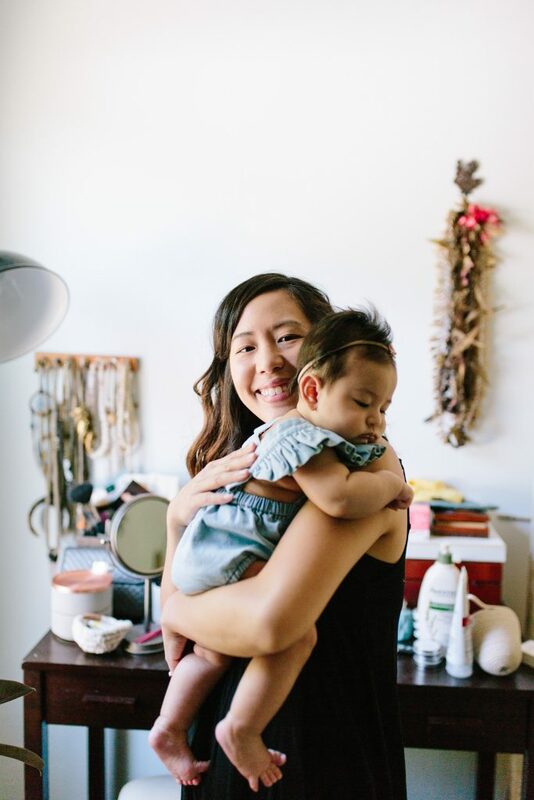 Give us one piece of advice for balancing motherhood and running your own business. You are also a designer as seen on a onsie I received in my last monthly bundle. Was including your art always a part of the plan or did it happen naturally? Yes! I graduated from Parsons and worked and breathe fashion in NYC for 8 years. I had a fashion line with my sister for 3 years and worked with designers creating their runway collection pieces years after that. 🙂 Including my own designs, sharing different artists and sharing small business brands I loved was always a part of the plan. You have an amazing sense of style and like me, gravitate towards vintage. Where are your favorite places to shop in Austin and other cities? Aw thanks! Since becoming a mom, online shopping has been a life savor! I love shopping in New York, of course, Barneys, Aritzia, Double R L, Coclico, All Saints, Muji, Rachel Comey, Marni, Housing works… I could go on and on. Now I miss New York! Ha! What’s next for A Little Bundle? Well, a lot has changed since the beginning of the year and during my pregnancy. I’ve been finding different routes to preparing my new life working full time and being a mom full time. I started social media consulting – UnicornandRainbows.com. It’s been so rewarding and fun to help these small business brands build! As for A Little Bundle, I’m pivoting my concept very soon – so stay tuned! The fun part about owning your own business is you get to roll with the punches, change it up when you feel you need to and let it transform with you and your life :). 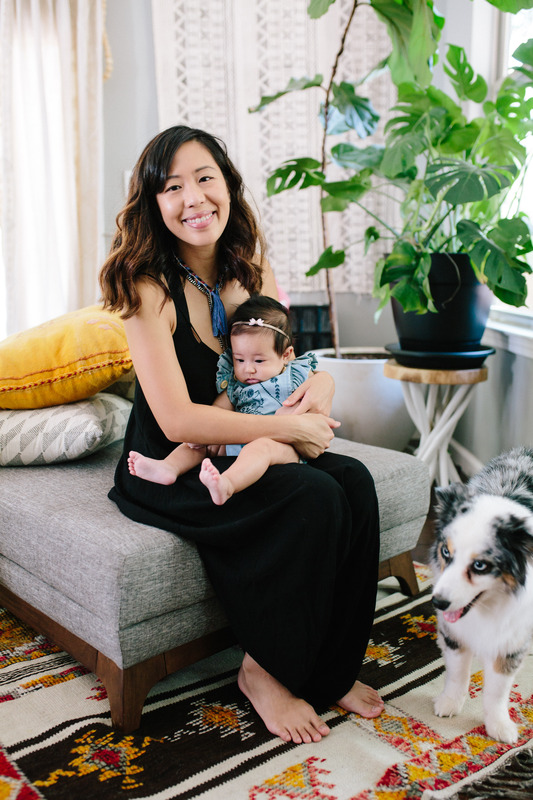 Annie lives in Austin with her husband, daughter, and two pups. For more on Annie and A Little Bundle, follow them on Instagram.